Genco Manufacturing Inc. has been producing quality fabricated metal products for over 30 years in Garnett, Kansas. Originally started as a fabrication job shop but since then has decided to diversify by getting into the truck bed market. Previously building custom made to order truck beds, GENCO was specializing in custom products designed to meet customer's specifications at competitive prices. Since 2014, GENCO started to manufacture their own models of truck beds while also setting up a distributor network across six states. With these changes, this created an increase in capacity. GENCO had a HD plasma machine but it just was unable to couldn’t keep up anymore. GENCO was working at maximum capacity and they needed a machine that could grow with them. Then in fall of 2017, the volume of material processing and cutting became too much. This just so happened to be around the same time as FABTECH. “We had been working and analyzing with Gladwin Machinery about a laser for a while. We finally decided we were going to buy something at FABTECH,” explained Gencarelli. While at FABTEH, GENCO decided to purchase a Mazak OPTIPLEX NEXUS 3015 Fiber laser-cutting machine. The OPTIPLEX NEXUS Fiber laser was the answer to their increase in demand, higher cutting speeds and offered opportunities to continue growing. 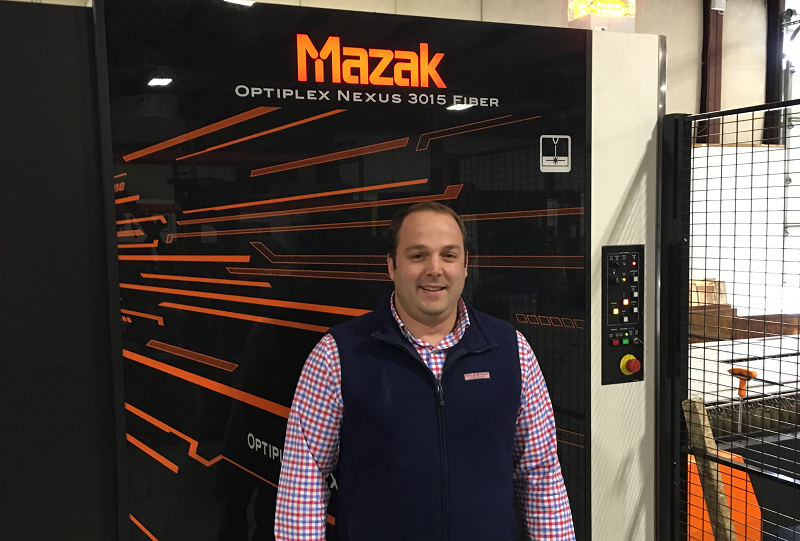 GENCO ended up taking advantage of the special Mazak Credit Corp (MCC) financing promotional rate for their first Mazak laser-cutting machine. Specifically, MCC was able to offer a special FABTECH promotional interest rate of 3.99% for the life of the loan. Financing with MCC offers fabricators, like GENCO, a bundled package allowing for a one-stop shop. MCC’s knowledge of Mazak's product portfolio results in factory terms that can work to your advantage. MCC’s fast and easy online application offers 3 to 5 year financing on all Mazak equipment. “The FABTECH promotional rate was a good rate but we also went with MCC because we had other projects going on and wanted to diversify our loans. The staff at MCC was very easy to work with. MCC was proactive and helped us get through the loan process,” said Gencarelli. GENCO is also getting projects done faster. Gencarelli stated, “Overall the speed of laser with the shuttle table has decreased our cutting times. Some of our sheet metal jobs were taking 35 minutes per sheet of aluminum, now the laser has cut the time down to 11 minutes. It has saved us a lot of time and allowed us to take on new jobs." GENCO, Welcome to the Mazak family!